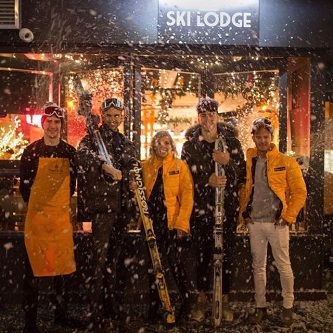 With the season – both ski and festive season upon us, we are very excited to launch a themed pop up ski bar. Rocking up on South Street in the former BURGER restaurant from November 30th – January 6th equipped with seasonal hot cocktails, winter-warming fare and all manner of quirky entertainment is The Adamson Ski Lodge. Come in, snuggle up and while away those cold afternoons and evenings surrounded by fairy lights, fur rugs & skis. The Adamson Ski Lodge will be open daily from 12pm till late with a live DJ every Friday and Saturday night.